Mayor Joe Ricciardo awards Garrett Vanni for his holiday decorating efforts. NEWTON – The Newton Town Council held off on deciding the fate of an ordinance on Monday night, Dec. 23, which would limit the amount of dogs that each resident can have. The ordinance has been proposed after a home in Newton was discovered to house 57 dogs, which were removed due to the hoarding situation. Since then, the dogs seized have been adopted out or fostered by members of rescue groups, to prepare them for adoption into permanent homes. The dog owner, however, did not break any local ordinances since there was no cap on the amount of canines per residence. The ordinance, which would be a revision to the town’s municipal code for dog ownership, would mandate that no household, or commercial or industrial property could harbor more than four dogs at a time, if the property the parties exist on, is one acre or less. For properties exceeding an acre, a total number of six dogs would be permitted. There were some exclusions to the ordinance, that pet shops, animal hospitals, kennels, shelters, pounds, and training centers for the blind, would be exempt from the ordinance. Puppies under the age of six months were also exempt. The revised ordinance would have taken effect after January 31, 2014, and those who exceeded the proposed number of dogs before the end of the year would be permitted to keep their pets for the duration of their lives, as long as they were licensed before the end of this year, Dec. 31. The suggested changes met with opposition with several members of the public, who were outspoken about its passage. Mary Lou Hanson, a lifetime resident and homeowner in town for 25 years, was the first to take to the microphone during the public session. As a dog breeder and exhibitor, she shared her take on the ordinance, which was not in agreement with the change. Hanson’s main concern is that the publicized hoarding incident was driving the council’s decision, which would impact responsible dog owners. As a breeder, she said she might have dogs with her, which would exceed her limit. She said that puppies may stay with the breeder for more than the six months’ time. “A responsible breeder will take the time to grow out a puppy,” she said, which could take more than two years. There are also times in which a dog bred and sold may be returned to the breeder, with little or no notice as well. She additionally said that show dogs return home following their retirements. “When most show dogs retire they live their life with their owners and don’t get upgraded for a new model,” she added. Hanson asked the council to delay it to gather more research. Barbara Reichman attended the meeting from Long Valley, NJ, and said, among her affiliations, she is the Legislative Chair for the Golden Retriever Club of America. She also disagreed with the change. “Limit laws create a wedge between animal control and members of the community,” she said, with residents on edge that they may be reported. “Rushing through the end of year isn’t fair to the community,” she also noted, with concern that members of the community would not have adequate time to ensure their dogs were fully registered, during what she classified as the busiest week of the year. She suggested the window of approval time be expanded, in order for the community and media to prepare, if a change was to take effect. Another person who attended from out of town was Jeffrey Ball of Ridgewood, NJ, President of the New Jersey Federation of Dog Clubs. Ball suggested that his group could help, at no cost, to establish programs, including a responsible pet ownership program within the community. 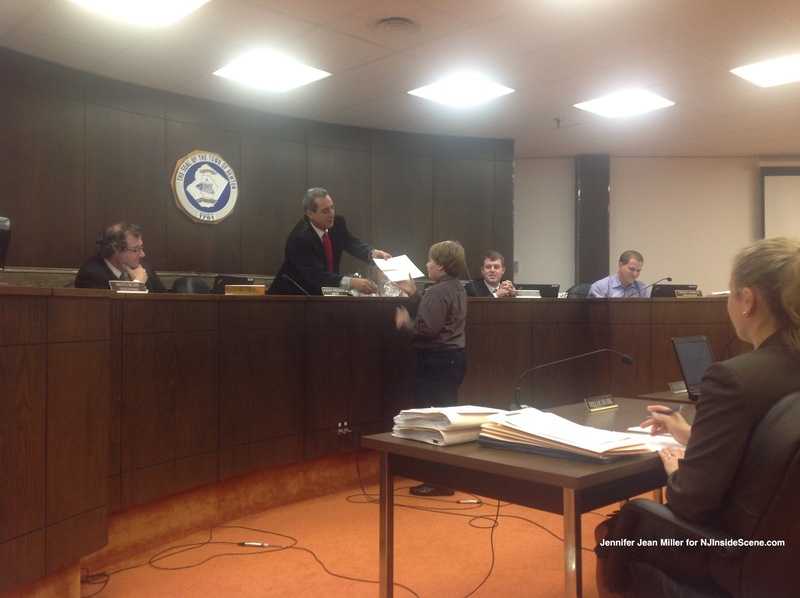 Cathy Murch, the American Kennel Club Delegate for the Newton Kennel Club, also voiced her concern with the ordinance, and offered assistance. John McGuigan, a resident who owns five licensed dogs, and volunteers his time with BARKS (Byram Animal Rescue Kindness Squad) along with his wife, said they had taken in two dogs to foster from the recent incident. McGuigan said that the council has adequate ordinances for noise, waste, licensing, and vaccinations, to protect the public, rather than adding another ordinance onto the books. The council has it as its disposal as many ordinances and code provisions on the books. “Those laws ought to be utilized rather than passing a quota law,” he said. McGuigan summarized some unintended results from passing the ordinance, which would limit the efforts of those responsible. Like those before him, McGuigan suggested the ordinance be tabled, and if modified, up the amount of dogs to six, and to make an exemption for foster care and breeding situations. Hanson answered an inquiry from mayor Joseph Ricciardo, who asked for more details about fostering. Hanson said that fostering helps to assess the best placement for a dog into a permanent home, and may take some time. Ricciardo described his dogs as well cared for, healthy, and microchipped, he noted, however, that for the health and safety of the dogs in town, and the neighbors around, specifically as well with dog waste and the hazards and odors it presents, limits would help. He said he recognizes the care it takes to maintain properties when one is a dog owner. “We are a city within a rural area,” Ricciardo noted, in terms of the size of Newton properties being typically smaller in size than in other municipalities in the count. “There has to be some control,” Ricciardo said. He asked town manager Thomas S. Russo, Jr., to verify the number of properties in town under an acre. He reported that 93.7 percent, or 1,911 properties, are under one acre, with only 53 in Newton exceeding an acre. During the hearing for the dog limit ordinance, McGuigan took the microphone again, to comment about Ricciardo’s testimony. “You pointed out concern based on personal experience, on external effects such as dog waste, we have property maintenance codes and health and safety laws,” he said. During the discussion, both councilwoman Sandra Diglio and councilman Kevin Elvidge, suggested tabling the ordinance, in order to review information about foster care and breeders. All members of the council voted “yes” to tabling the ordinance, except for Ricciardo. Councilman Dan Flynn spoke during the council and manager comments portion of the meeting, about his vote. Diglio and Elvidge had similar explanations about their decisions. Ricciardo said he is in favor of the limits and would like to include limits on cats as well. The town awarded a prize to resident Garrett Vanni, a youngster in the community, who was chosen for the town’s Holiday Decoration Contest. Vanni included blowup decorations and multi-colored lights in his display. Russo announced the holiday hours for the town, which, the municipal building is closed Christmas Eve and Day, closes at 3 p.m. on Dec. 31, and reopen next on Jan. 2, 2014. Ricciardo and Diglio both wished members of the public a Merry Christmas and Happy Holiday Season. 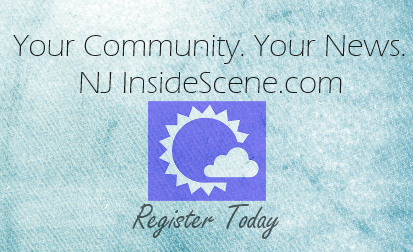 Stay on the scene with NJInsideScene.com…and click here to stay on scene on Facebook!